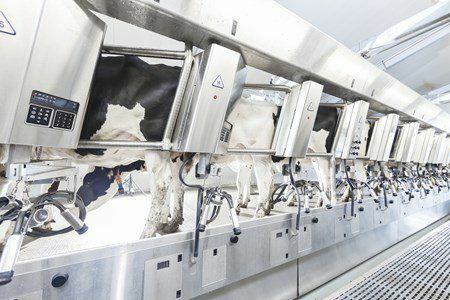 Livestock Farming > Milking equipment > Cow milking parlour > DeLaval, Inc. 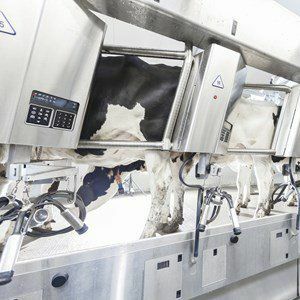 The very functional design flow in the DeLaval herringbone HDHB creates a comfortable working environment for both operator and cows. It enables speedy cleaning with vital working parts safely concealed underneath cabinets – saving time, labor and costs. The wide entrance lane helps cows feel comfortable right from the start. 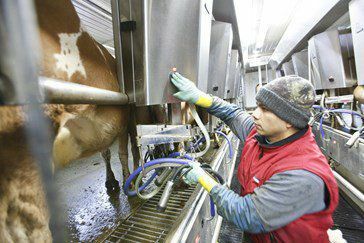 We eliminated any structural parts not essential to help keep your cows in position. 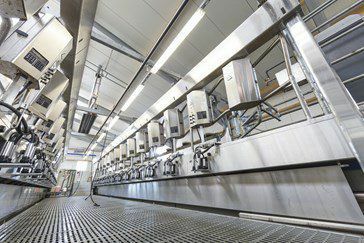 This has simplified the parlor, and with the brisket rails rising up for cows to exit, creates a wide-open platform for better cow flow. The open platform also makes the parlor much easier to clean.